I know this isn’t new to you, irrespective of your religions and beliefs, you will definitely have a name(s) you will be calling God. Don’t tell me that God’s name is simply “God” remember that iron worshippers refers to those irons as their own god. So, shouldn’t our almighty God have a very special name that no object or living human in the universe will be competing with him? Yea… God has a name. I could remember when I was still a CRK student few years in high school, our teacher said God is the “Supreme Being” and was right… God that am serving is Supreme and so mighty but, did/does you teachers in school ever tell you what God’s name is? Probably No! Those teachers will just be teaching the young lads that God’s name are numerous like “mighty one”, “king of kings”, “creator of the universe”, “the omnipotent, omniscient, omnipresent”, “alpha and omega” etc… But these names are not God’s real name, they were like appellations or attributed names. Just take this simple illustration.. People do call me “Don”, “T-boy”, “Tosino”, “Gentleman” and when I was in school, ranging from primary school to high school, I had names such as “Class-captain”, “Assistant Senior boy”, “Senior Boy”, “Time Keeper” etc. But, are they my name? No, they are just names about what I have done and my positions in the school. Remember, my name is simply “Tosin”. Just like when a single man can be called “Father”, “Husband”, “Pastor”, “Landlord”, “Architect”, “Property consultant” etc but his real name is “Mazino”. Now, what is God’s name? No other person, object or places here on earth and heaven is bearing “Jehovah” except God. But what a great pity! 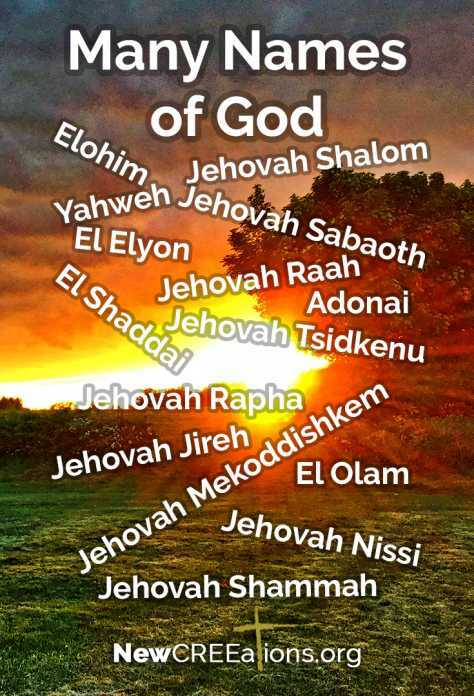 Many Bible publishers in the world has erased this precious name (Jehovah) in their own translations. They replaced it with names like creator, alpha and omega, powerful one etc..
* Wright Brothers Created/Invented the first Airplane. * Mark Zukerkerg created Facebook, Bill Gates created Microsoft. * And you yourself can create things. The name, “Alpha and Omega” as God’s name is just a Greek letters just like when we have A and Z which literally means “Beginning and End”. Names like “Powerful” can be given to anything, any person in any condition… For instance, “That Epoxy Glue is very Powerful”, “John Cena is Powerful than Oluwatomisin Gbolagade” etc. Note: All bible quotes are taken from “New World Translation of the Holy Scriptures”. Have a great weekend ahead! Searching for the Best Dating Site? Join to find your perfect date. Ever wanted to get free Twitter Followers? Did you know you can get these ON AUTOPILOT & TOTALLY FOR FREE by registering on Like 4 Like?